There is no one-size fits-all solution. Patients’ needs and desires vary depending on their individual lifestyle, preferences, degree of hearing loss and models. The Spice+ Generation uses Zoom technology, revolutionising performance in even the most challenging listening environments. Nathos S+, the next step forward, introduces breakthrough dynamic management of quiet listening environments. 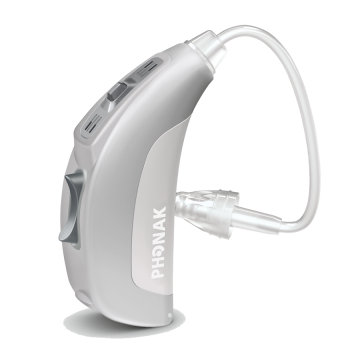 This results in enhanced sound quality, superior first-fit acceptance and less fine-tuning effort. 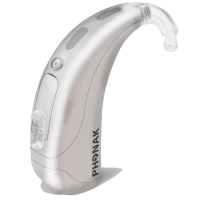 The entire Phonak Nathos S+ portfolio is now enriched with Spice+ technological advantages. Our Spice+ Technology is available in all styles, sizes and power classes. UltraZoom is the next revolution in adaptive multichannel beamforming technology. Sophisticated microphone matching and calibration ensure optimal long-term performance of the dual-microphones. UltraZoom is automatically activated as needed within the SoundFlow automatic system, and is designed to improve understanding in background noise over traditional directional microphones. SoundRelax, impulse sounds no longer cause discomfort. One touch synchronisation. 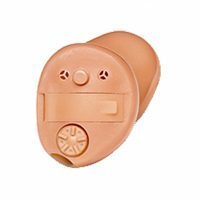 QuickSync allows wearers to control both hearing instruments with just one touch. The instantaneous transfer of data between instruments ensures that program settings or FlexControl adjustments are always synchronised. in directional mode while still effectively managing wind noise. With WindBlock, end users can really enjoy the great outdoors. further enhanced by the integration of FlexControl. SoundFlow is the master control of all features and settings. The exclusive SoundRecover technology has triggered a paradigm shift in the approach to amplification of high frequency sounds for all degrees of hearing loss. SoundRecover picks up where extended bandwidth leaves off. It employs non-linear frequency compression to ensure audibility of high frequency sounds that can otherwise not be made audible. SoundRecover expands perceptual bandwidth, improving intelligibility, while maintaining natural sound quality and comfort, so wearers can now enjoy the full spectrum of sounds. approach results in increased clarity when more volume is required, while comfort is enhanced with less volume. WhistleBlock is highly effective thanks to ongoing behind-the-scenes monitoring and adaptation. Instead of applying the same levels of feedback cancellation for all situations, WhistleBlock adaptively adjusts the feedback cancelling action, applying varying levels of suppression depending on each specific situation. ZoomControl takes the ability to focus in directions other than the front to the next level by tracking and focussing in the direction of the dominant speech signal. 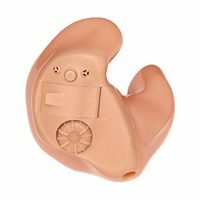 The listener can now enjoy clarity and audibility regardless of the direction of the sound and without needing to face the speaker. When microphones are placed outside the pinna, natural localisation cues can be lost. 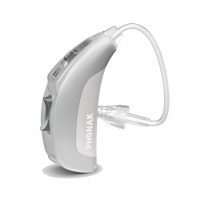 Real Ear Sound applies discrete, frequency-specific directionality to restore the effect of the pinna, providing natural front-to-back localisation to complete the acoustic sound scene. 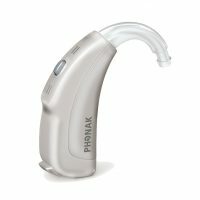 Exclusive to Phonak, Acoustically Optimised Venting (AOV), ensures the right size vent for each instrument to deliver the ideal balance between gain, sound quality and occlusion. 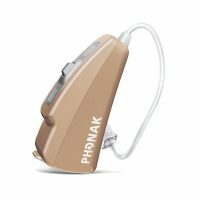 AOV is a great example of the Phonak precision engineering and custom craftsmanship. The new WaterResistant products are sure to make a splash with you and your patients. All the new instruments meet either the IP54 or IP67 standard. What it means for your patients is they can embrace life with care-free confidence.